I’ve been doing a good job of avoiding chips, cookies, and other bagged sweets but I still crave a little something special once in a while. One of the goals I set for myself when I started this challenge was to only eat sweets that were made at home. 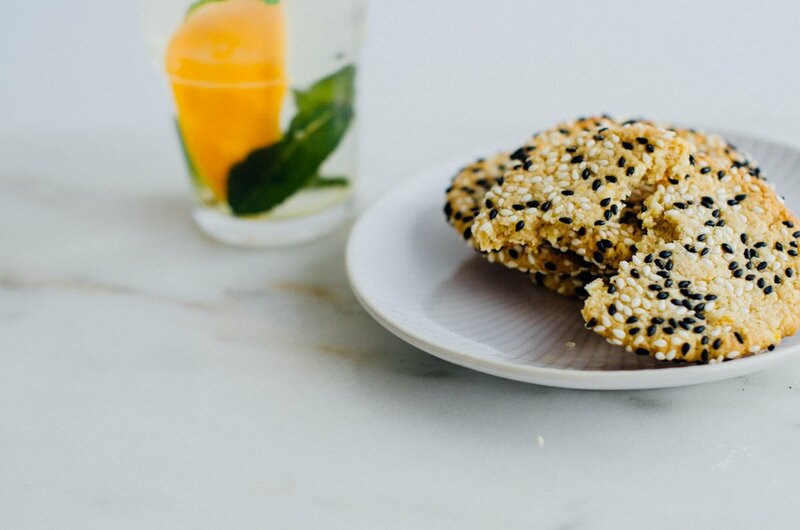 These gluten-free, dairy-free, vegan orange honey tahini cookies can be prepped in 5 minutes and ready in 15. 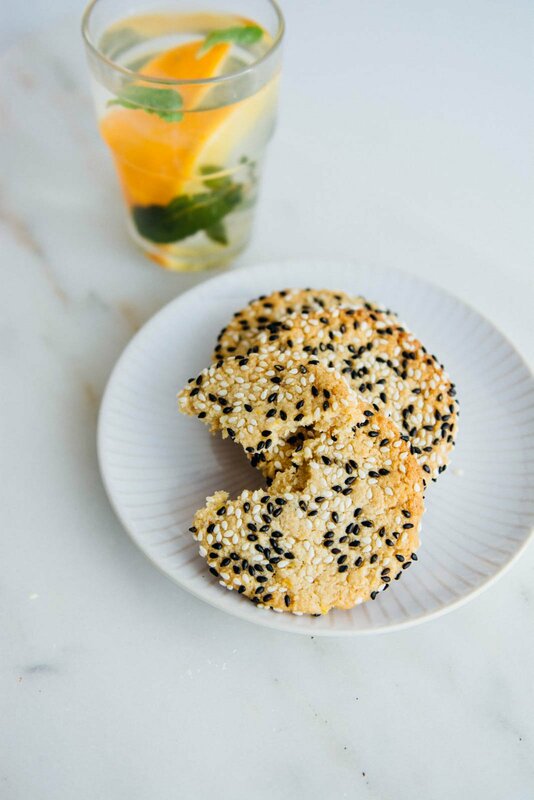 They keep well on the counter for 4-5 days and are the perfect accompaniment to a cup of tea. The first time I made these I didn’t add the orange zest and juice and really felt that they were lacking something special. The zest gives it a nice brightness and I’ve found myself reaching for these whenever I am craving something a little sweet. They are dairy-free, gluten-free, paleo friendly and vegan but still give you all the satisfaction of a decadent cookie. Here’s a little video to show you all the details! 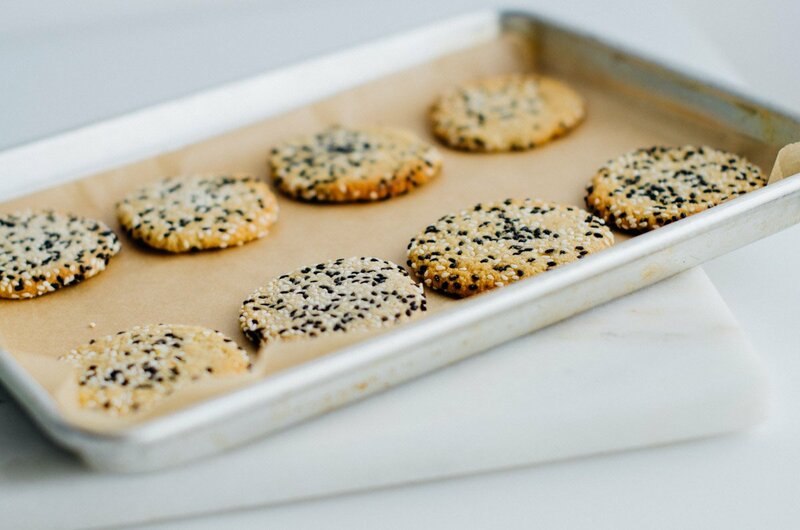 These gluten-free, dairy-free, and paleo cookies take 15 minutes to prep and cook in less than 10. Perfect with a cup of tea! 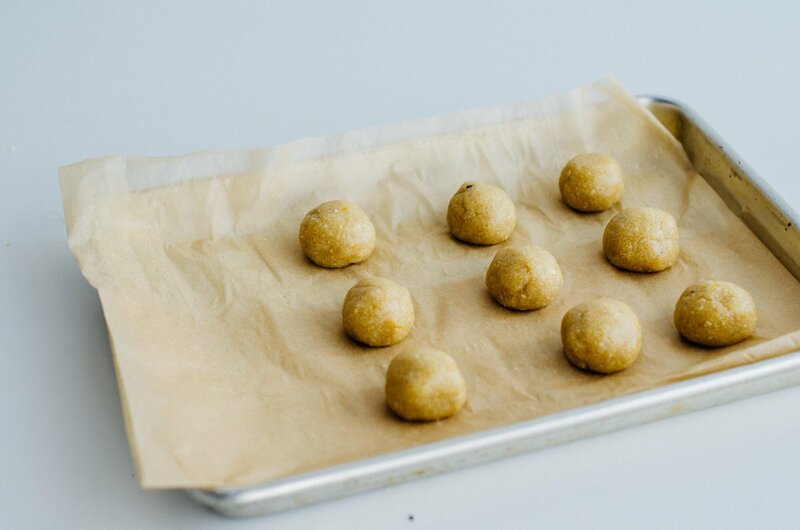 Pre-heat the oven to 350 degrees and line a baking sheet with parchment paper. 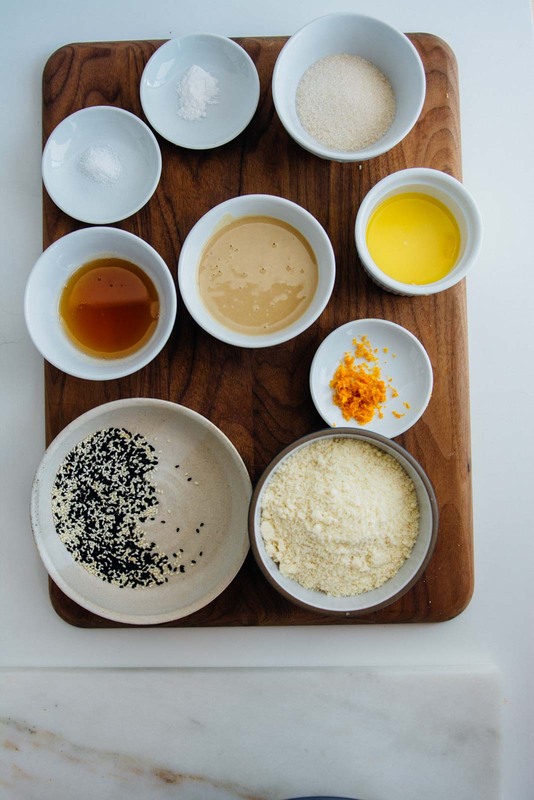 Place the honey in a small bowl and microwave for 15-30 seconds just to make it pourable and easy to combine with the tahini. Alternatively, you can warm it in a small saucepan just until it starts to thin. In a large bowl combine the warm honey, cane sugar, tahini, orange rind and orange juice and stir well to combine. In a separate bowl mix the almond meal, baking powder and salt and stir to combine. Add the almond flour to the bowl with the honey tahini mixture and stir well to combine. 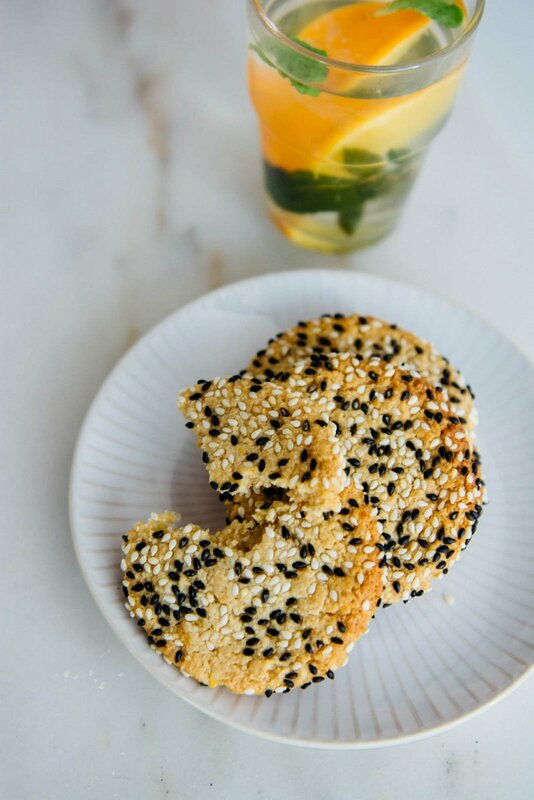 Combine the sesame seeds onto a small plate and mix well. 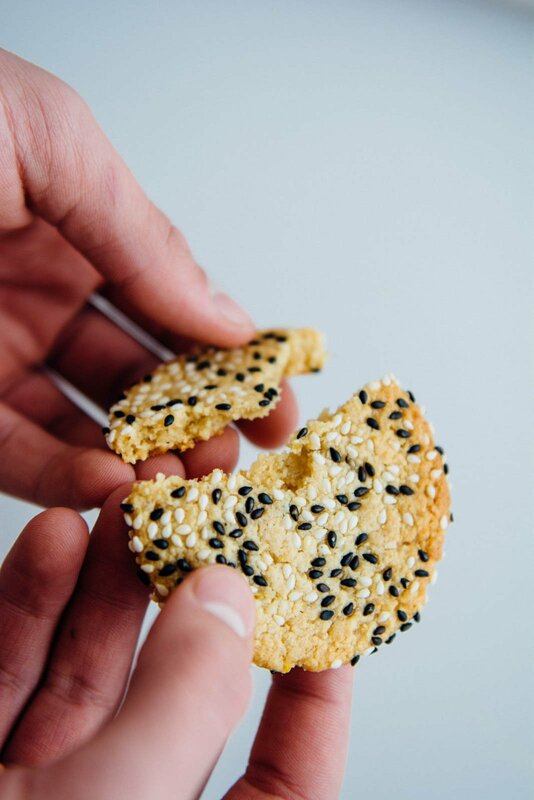 Using a tablespoon measuring spoon, scoop the dough into balls, and drop into the sesame seeds. Gently roll each one in the seeds to coat, then place on the prepared baking sheet, spacing the balls 2½-inches apart. Using the bottom of a glass flatten the dough balls into a 2-inch circle. Bake until golden brown 8-10 minutes. Let cool on a wire rack before serving. Could you use a different type of gf flour here? If so would coconut flour work or buckweat? or just 1-1 gf flour?